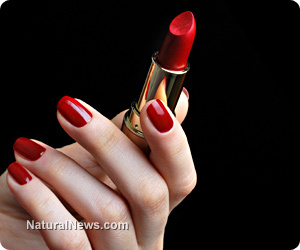 (NaturalNews) New cosmetic product regulations from the state of California are not working. Intended to give consumers more information about the chemicals that are packed into their cosmetics, the new California Safe Cosmetics Program Product Database is failing to deliver. The program, which hit the net about a month ago, tries to rein in the 60-billion-dollar cosmetic industry, forcing transparency into the marketplace. But some of the problems with this large transparency project include an uncooperative cosmetic industry, delayed participation in a database system and information on chemicals that hasn't been updated for years. "There are companies that haven't been reporting to the state the ingredients that we should know about," said Alexandra Scranton, director of science and research at advocacy group Women's Voices for the Earth. Health advocates like Scranton have been a major voice for transparency in cosmetic products, hoping that California's nine-year effort would help consumers avoid hazardous chemicals in their body care products. State cosmetic database allows companies to keep "trade secrets"
The most disturbing part of this government program is that it contains a provision that lets companies keep their ingredients secret. On the surface, the database sounds like it has good intentions, providing transparency and more information about toxic chemicals in body care products, but in actuality, this state program is just like other government security measures - promising safety, but ultimately becoming an industry gatekeeper, a portal of crony capitalism. This "trade secret" option in the state cosmetic database allows companies to hide their toxic ingredients. The cosmetic database is practically endorsing secrecy and loopholes with this option, while pushing away the transparency that they intended to provide. This crony capitalism tactic allows the cosmetic industry to design a workaround in the online reporting system. Companies are allowed to keep harmful ingredients off the site and out of consumers' knowledge by claiming the "trade secret" option in the database. Officials are expected to follow up with these claims and force companies to provide supporting documents, but this is practically impossible to police. 1,440 products in the database may contain toxins classified as "trade secrets"
In fact, a database search reveals that these "trade secrets" make up about 5 percent of the database, equivalent to 1,440 products, which could quite possibly contain dangerous ingredients. This government database is really just endorsing dishonesty while fooling the public into trusting them. This is reminiscent of government bureaucracies like the FDA, who spearhead "trade secrets." While appearing to be all about transparency and consumer protection, these government programs actually permit big industries to find loopholes and methods to harm consumers, bypassing any real accountability and justice. In a free society, a party that harms another party would be held accountable in a court of law and stand before a jury of their peers, but in today's America, government bureaucracies conceal the harm being done and allow it to happen while promoting their false "safety" agenda. "Trade secrets are issued to prevent disclosure," said Harold Zeliger, a chemist and nationally recognized expert on toxins in cosmetics. "My hope was that when this (law) went into effect it would ultimately drive changes across the nation. So why are they given a pass on this?" Instead of addressing the failed philosophy of the government program, the drafter of the Safe Cosmetics Act of 2005, Janet Nudelman, calls for more funding, saying, "They never had the funding they needed." The safe Cosmetics Program receives a whopping $320,000 a year in state funding to implement the cosmetic database. Cosmetic companies selling in California with more than $1 million per year in worldwide sales are required to report to the database, listing carcinogens and reproductive toxins used in the manufacturing of their products. The Act's mission is to eradicate 900 chemicals from the state deemed harmful by Proposition 65 and the EPA, hoping to set an example for the rest of the country. But the California health department reports that only 475 manufacturers are included on the site after five years of data collection, and many list ingredients as "trade secrets." "You had the option to check 'trade secret' and then you didn't have to fill out all the information," said Ann Latendresse, a spokeswoman for Great Clips, a hair salon chain that sells its own brand of hair products. "It was just easier. It was just a box you could check." After being contacted by a news reporter, Great Clips said it would begin correcting its entries in the database, disclosing its "trade secrets." Instead of helping to disclose chemicals in cosmetic products, the California cosmetic database has created a system of crony capitalism. Blind trust in this system could lead to false security.